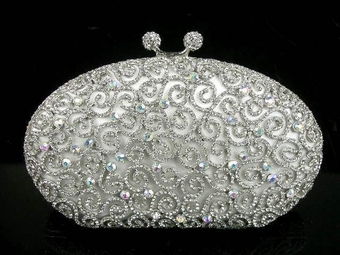 Description: NEW to our collection Beautiful vintage swirl swarovski crystal purse perfect for that special day. a romantic look which you could use anytime afterwards. great size approx. 6 x 3 fits iphone.